An October 2016 writing workshop held in Lilongwe, Malawi. From left to right: Aubrey Chinguwo, Diana Satha, Emmanuel Chikuse, Matilda Spy, Shadreck Chikoti, Ekari Mbvundula, Tuntufye Simwimba, Andrew Dakalira, Peter Lungile Chidothe. If you measure GDP per head, then Malawi is the world’s poorest country. In terms of purchasing power per capita, it fares marginally better—it’s the world’s third poorest country. Lilongwe, its capital city, is spread out and graceful amid trees and plains. When I was there, the jacaranda were in bloom: spread-out trees that seemed to have sky-blue leaves and which shed a snowfall of blue petals along the roadway. The town has two centres—one hotels, government offices, NGO headquarters, the new conference centre, and the domes of parliament. The other is all parking, baking rows of shops and aging shopping malls. The road from Lilongwe to Lake Malawi goes through a landscape of greys. October 2016 is the end of the dry season, and water is in short supply. The rains are late, as it seems they are every year—later, shorter, and more intense. This means a lot of the water runs off as floods. 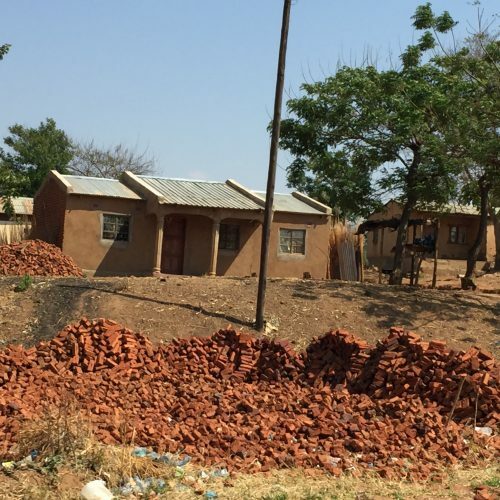 As a result, there is an energy crisis—Malawi relies on hydroelectrics for most of its electricity, running through a centralized grid that sometimes wastes energy. 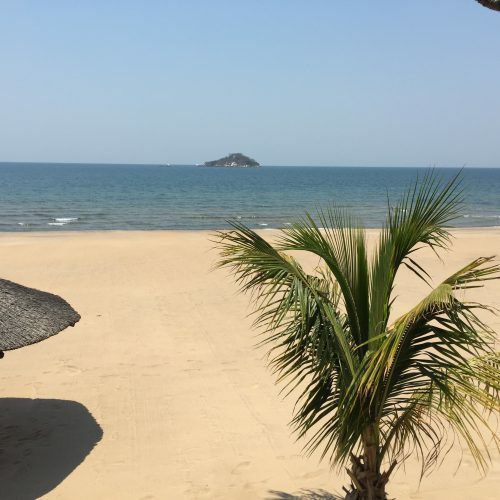 Water has become a constant problem, despite Lake Malawi, which is roughly three hundred miles long and fifty miles wide. Calls for a new water pipeline were being made in rivalry with calls for new infrastructure to take advantage of oil recently discovered under the lake. Trees look black, and the rolling landscape seems to be entirely ploughed for tobacco or soya, with tomatoes and greens sheltering in the valleys. Roughly 80% of the population work on farms—with 80 percent of farm labor done by women. So farming is an issue for feminists. The villages look identical, bungalows made of local bricks that are baked in barn-like piles with spaces underneath for fires. It would appear that some of the villages have no electricity. Taxis are bicycles—skinny men laboring up hills with somewhat larger ladies sitting over the rear wheel. Bicycles are also trucks, with tall graceful poles standing up behind the seats against which sacks of charcoal are stacked. 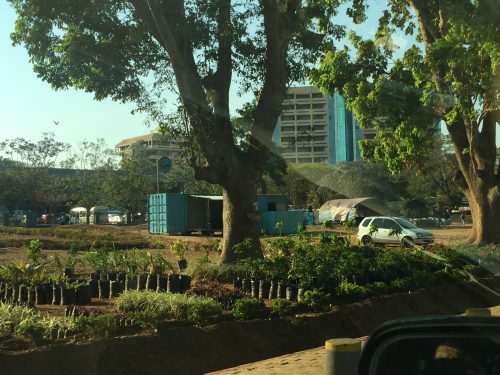 Lilongwe has infrastructure for 700,000 people and a population of nearly 1,077,000. Power blackouts are constant, even in the ambassadorial parts of the city. The first nightat my hotel, a graciously aging old colonialist house, the power snapped off. I was the only person in theentire hotel—no other guests, no staff, and no light. Using the laptop as a torch, I found my room and at 8:00pm went to bed. Malawi is a nest of science fiction. Not just science fiction, but a rather literary SF. At their best, the stories focus on character and writing style. 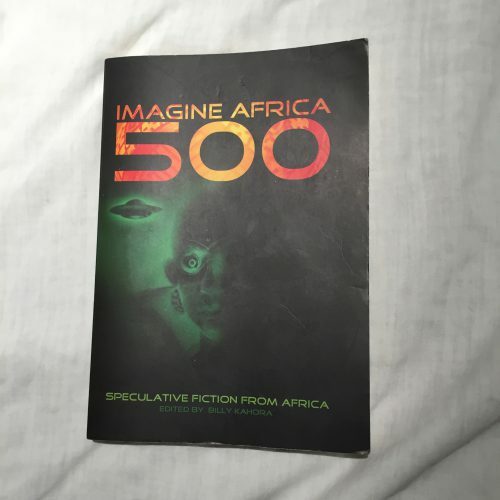 Imagine Africa 500, a project based in Malawi, is one of the most consistently graceful of the African SFF anthologies. The reasons are not hard to spot. Local newspapers publish short fiction. Many of these young writers have been publishing since they were teenagers. They recite with pride the Malawi Writers Union prizes they have won. They end up in books distributed as textbooks in schools. These writers, still in their twenties, have been validated in a way that many young writers in, say, Nigeria have not been. As in Kenya and Uganda, local leadership plays a key role in shaping speculative fiction. Shadreck Chikoti is the author of the elegantly written Azotus, the Kingdom, which won the Peer Gynt Award. A chapter from it appeared in Ellah Wakatama Allfrey’s influential anthology Africa 39—Shadreck was selected as one of Africa’s best writers under forty. Shadreck is a publisher, entrepreneur, and tireless organizer of workshops and events—while I was there he was promoting a concert in Malawi by one of Nigeria’s biggest stars. Imagine Africa 500 was his project, published by his publishing company. It was also a writer’s workshop and program that continued long after the workshop itself, with Ugandan writers Beatrice Lamwaka and Jackee Batanda, Shadreck himself, and Trine Andersen from Denmark acting as mentors. The anthology was edited by Billy Kahora, of the Kwani Trust, possibly Africa’s best known editor. 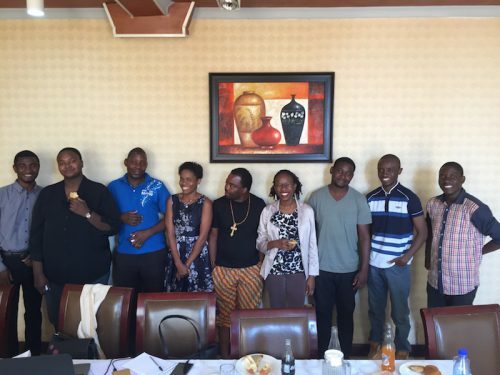 Without the anthology, it’s doubtful that I would have heard of these young writers, or gone to Malawi to meet them. By the end of my stay they had me wondering if maybe writers are indeed born and if some of us arrive as infants with an inbuilt love of marvels and wonder stories.